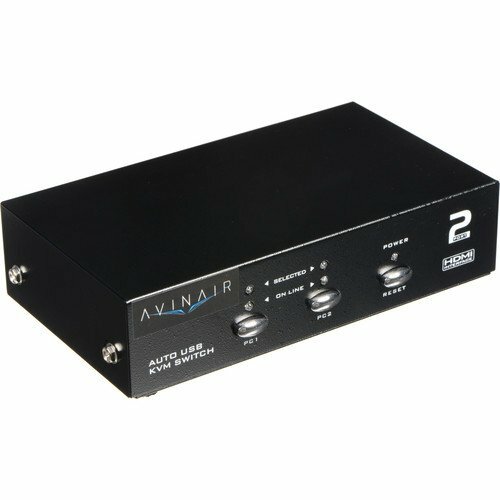 Control up to two computers using the Spitfire 2-Port HDMI KVM Switch from Avinair. 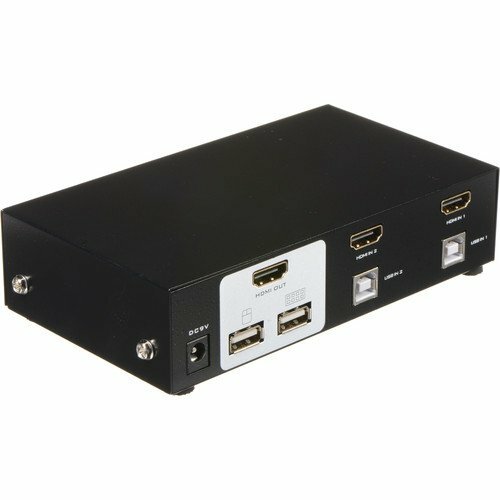 This KVM switch comes fully compliant with the HDMI 1.3a standard making it compatible with a wide variety of HDMI equipped displays supporting resolutions up to 1080p. Additionally, this switch comes equipped with a female USB Type A mouse console port, a female USB Type A keyboard console port, and a single female HDMI Type A video console port. Along with dedicated console ports, this switch also features dual female USB Type B keyboard/mouse KVM ports and dual female HDMI Type A video KVM ports. Once configured, selecting the computer you want to operate is simple thanks to dual push button selection and with hot plug-and-play connectivity you no longer need to shut down your switch or connected computers before disconnecting any components. Box Dimensions (LxWxH):	9.764 x 5.669 x 3.543"